While there are those who pride themselves on being cheap, most of us don’t wish to be viewed as such. Tech employers, for one thing, often use generous compensation packages to attract top talent to their organizations. But money still isn’t growing on trees, and business owners need to control payroll if they’re going to remain afloat. At the same time, this must be balanced with retaining the best performers. So when an employee comes asking for a raise, how should you react? First off, like many things in business, you should probably be proactive—that is, prepared before the employee ever brings it up. Tim Low, senior vice president of marketing at PayScale, a compensation management software developer, urges employers to arm themselves with information by finding out what the current job market looks like for the positions within their own organizations, so they have solid answers to questions like: What are the competitive dynamics around the positions in your organization? Has there been market movement? Are these “hot” jobs? Are their competitive median salaries increasing each month? (PayScale’s platform enables employers to access this data.) It’s this type of information that helps lay the foundation for a productive conversation. “We think that having a fact-based conversation is a great way to make fewer mistakes, and to also take some of the drama out of a conversation that does have some emotional components to it because pay is viewed as a proxy for worth, and it starts to creep into your psyche when you think about how you compare to your coworkers and things like that,” he said. In fact, McIntyre urges employers to have a clear idea of when they assess pay—be it annually, or at performance review time, or even periodically—and communicate that to employees. At the same time, she cautions employers and managers not to set expectations that aren’t necessarily realistic. “Any time you mention anything that has to do with any kind of workplace goodies—pay, promotions, vacation, anything—that gets locked in that employee’s head,” she said. An off-the-cuff remark to the tune of, “we can probably look at your salary in another six months” may be forgotten by the manager who made it, but “that employee is never going to forget that they said that.” The same goes for year-end bonuses: If you’re issuing a bonus because you had an exceptional year, be up front with your employees that this is an exception, and that it’s not yet a given that you’ll be handing out another round of bonus checks 12 months from now. This may be true, but if employers themselves aren’t participating in a bit of belt-tightening, too, it’s a hard pill for employees to swallow. “Business owners will say, ‘We can’t give salary increases now because business really isn’t that good,’ or ‘Our sales have dropped some.’ Those are valid reasons, but they become a lot less valid if you just bought a new BMW or you’re taking a vacation in Italy,” McIntyre said. Your employees will make note of this, she said. Market Price: At What Cost? While employers should be aware of the going market rate for the positions in their organizations, Margaret O’Hanlon, principal at re:Think Consulting, warns against hiring at market rate from the get-go. Instead, she counsels that salaries for each job should be assigned a range, with the market rate representing the mid point. In other words, a new recruit would come on board below market rate, with their pay increasing over time as they master their job and continue to bring new value to the company. She advises companies to take this approach because otherwise, they will find themselves shelling out significant and, arguably, overly generous pay increases as time goes on. In tech, however, O’Hanlon acknowledges that this can be a challenge. “It’s a little bit less clear-cut when you have a really racing market like software engineering [for example], but even still, if you find you have to hire closer to market rate, then you need to have a clear plan about where that salary can go over the next three years, or you’re going to run into a problem,” she said. 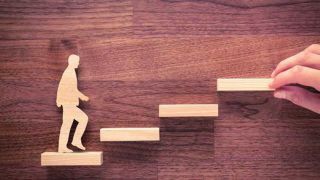 One of the issues that employers in competitive talent markets run into is that they recruit new talent at higher salaries than what existing—and loyal—employees are earning. This isn’t to say that they are willfully ripping their existing employees off; the market moves fast, and they’re simply trying to adapt. “This is something that is smart to address, because if it’s discovered—and let’s be honest, most pay disparities or inequities are discovered more and more frequently today—it’s important for you to have a plan, and to address it in a straightforward manner with the people that are falling behind in pay,” said Tim Low, senior vice president of marketing at PayScale. Chances are, you can’t even the playing field in one go, but you can phase in market-based pay adjustments on an incremental basis.